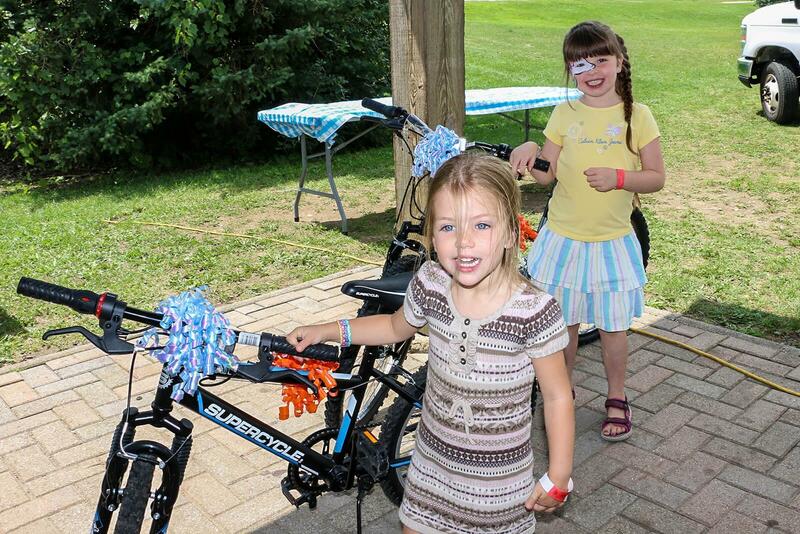 Eden Moriarty, 6 (back) and Brooke Garner, 4, held the winning raffle tickets and each took home a brand new bicycle courtesy of the Waterloo Chapter. Some Landscape Ontario members and their families took advantage of a mid-summer break to beat the heat and have a blast at the Waterloo Chapter Family Day. Held July 26 at Bingeman Park in Kitchener/Waterloo, over 80 people enjoyed full access to the water park (wave pool, water slides, kids play area). The special discounted admission available only through the chapter also included lunch, face painting, a bouncy castle, prizes, and mini-golf. Chapter organizers Trevor Sloan and Blake Sicard are already planning an even bigger event for next year. Organizers say not only is the event a great time for a great value, it also allows busy business owners and staff to spend time with their family and catch up with friends and colleagues after a hectic spring season.